I don’t think anyone out there really believes that low-fat noodle soup will make you fat. On the other hand, I’m sure everyone knows that frying them up and adding a bunch of fatty meat and oil-soaked vegetables makes a perfect recipe for weight gain. So, I avoid the restaurant dishes like Chow Fun and Chow Mein, and just make my own soups which are all-noodle, and no fat. 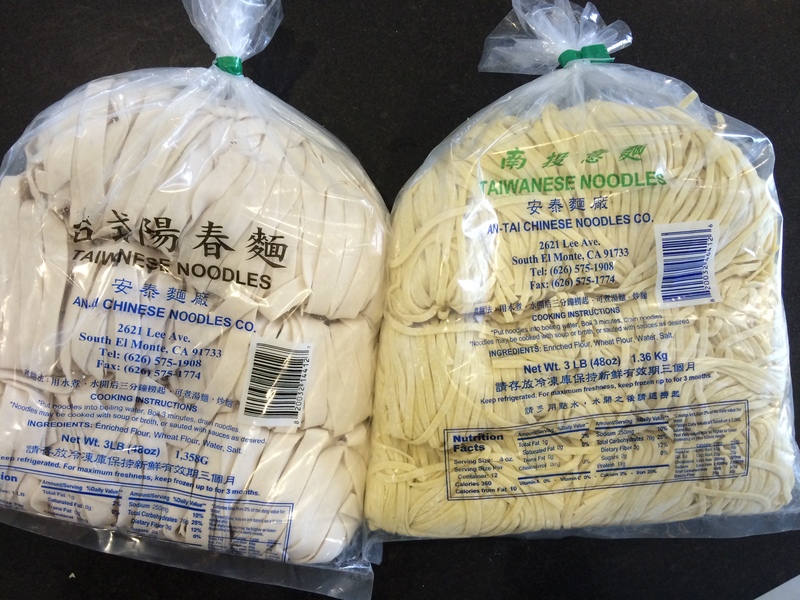 These 3 lb bag of noodles are a couple dollars each, and will make about 9 meals each. 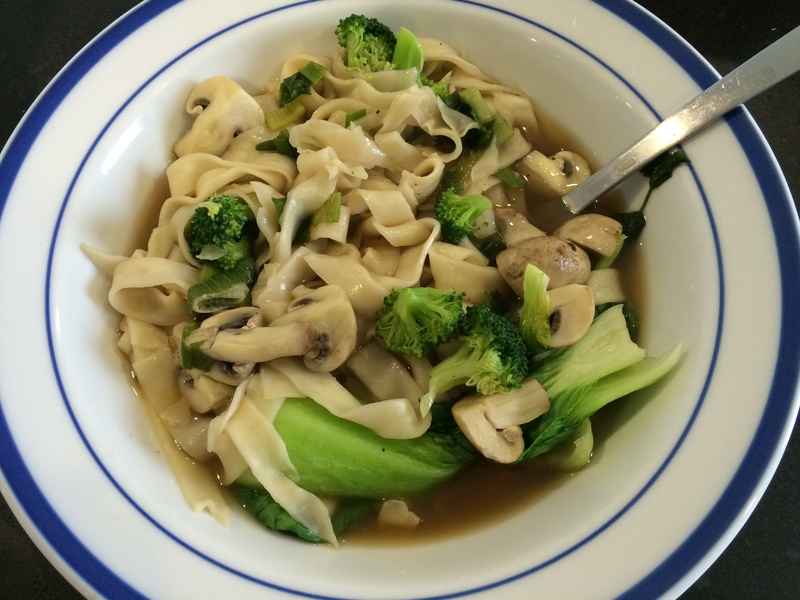 I’ve learned to cook the noodles for 3 minutes, then drain them before adding them to the soup broth containing mushrooms, green onions, carrots, cilantro, broccoli, and bok choy. I don’t need to understand about de novo lipogenesis to know these noodle soups won’t make me fat. They’re satisfying meals for cold winter weather, and if I’m still hungry, I’ll eat some more bread, beans, or tortillas. Looks delicious! I was looking for my favorite fresh udon noodles at Whole Foods to make the same kind of soup as yours, and couldn’t find them. Apparently, they are discontinued. Darn!